1) I hope you dont spend your time on arguing with climate science deniers. Thats generally useless; they are not people who want to learn - they are rather keeping you from doing what you should do, science. Dont let them. 2) Ah no -- I hope you return to the science posts; that is the most interesting of all things. Just how can you find out whether or not something as remote as the deep greenland sea takes up heat? And if it is doing so by fractions of a degree, then can that not go on for a long while before it changes flow patterns? Just how long? 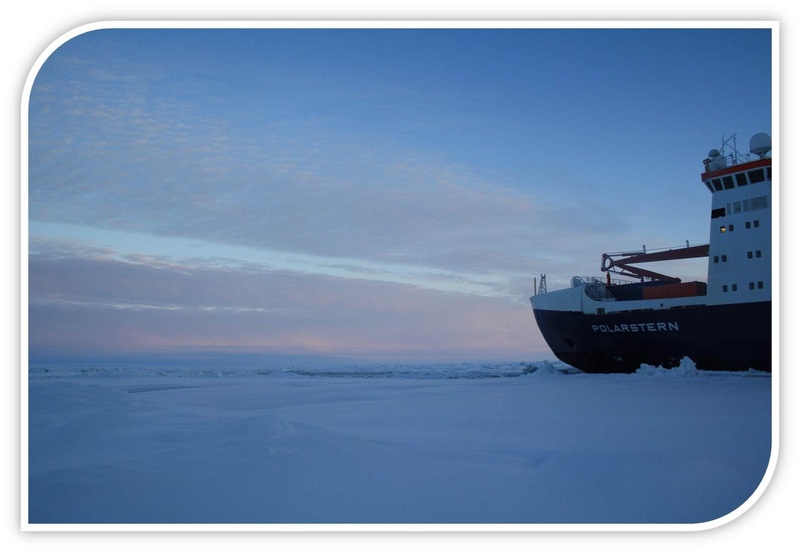 and as fotoes go, what captured me into reading this blog was the foto of Polarstern in the ice with a teddy bear and a toy explorer. Hah. Groeten to you! Don´t let yourself be distracted! Don't worry. First, it's not bad at all that the blog receive more visits because of your comments in other blogs, webs ... As I said in the post: Thanks! And, second, I don't let them to distract me from my science. In general, I don't enter in this kind of discussions. Only scientific discussions interest me ;-). However, sometimes I read some comments or blogs that offend the intelligence, and I can't avoid to answer in some way.
" Thousands of Meters Below The Ice." from last year. Therein you explained how the convection in the Greenland Sea occurs. "It is the result of a process known as open ocean convection which is a very effective mechanism of mixing due to the strong cooling during the winter months." "However, during the last three decades, deep convection has come to a halt in the Greenland Sea." that is what I struggle to understand. Why was that happening? If convection used to be going on and homogenized this large water column then is it not now doing so anymore? Then how does it look now? I mean, convection doesnt just stop because it wants to. Excuse if I say it in this personalised fashion. But could you explain this? As you say, deep convection doesn't stop because it wants to, and, of course, the halt of deep convection has consequences. The first is the change in the properties (temperature and salinity) of the Greenland Sea deep waters. How? Well, the values of temperature and salinity of the deep waters in the Greenland Sea are the result from the balance between deep convection providing fresh and cold waters and the advection of deep Arctic Ocean waters that are warmer and saltier than those observed in the Greenland Sea (In the first figure of the post 'Thousands of meters below the ice' you can see how the temperature and salinity of deep waters in the Greenland Sea is lower than that of the Arctic Ocean deep waters http://fromtheblueside.blogspot.com.es/2012_10_01_archive.html). Thus, now that we don't have deep convection, the deep waters in the Greenland Sea are only replenish by the advection of Arctic Ocean deep waters. Because these waters are warmer and saltier than the Greenland Sea Deep Water, the deep waters in the Greenland Sea are getting warmer and saltier. From that, there are other derived consequences that I described in the paper submitted to GRL. As soon as I can make the information there public, I will. About the causes, it is one of things in which I'm working now, and it seems that there isn't one only cause. It seems that it was the sum of different changes, both in the atmosphere (winds and net heat gain/losses between the ocean and the atmopshere) and in the ocean (properties of the waters coming from southern latitudes (Atlantic Water) and from the Arctic Ocean (Polar Surface Water)). I hope I resolved some of your questions and many thanks for all of them.